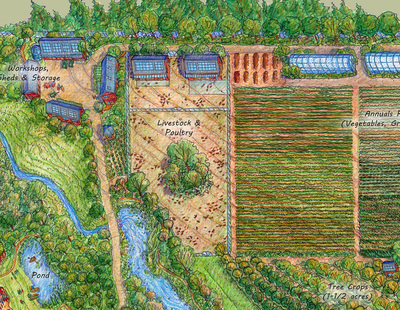 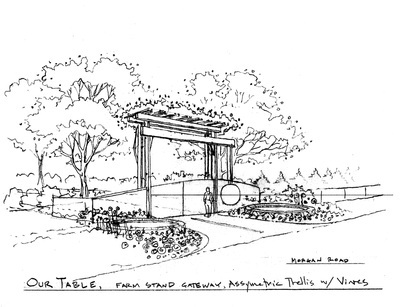 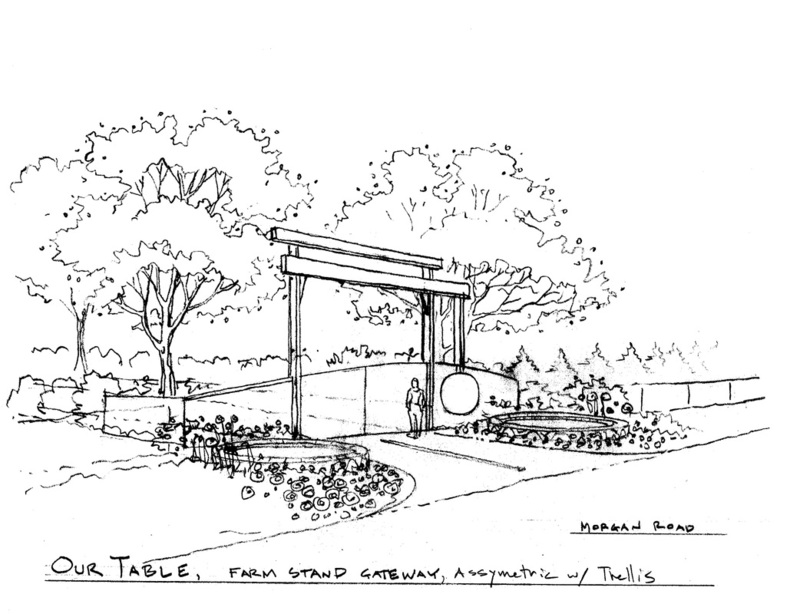 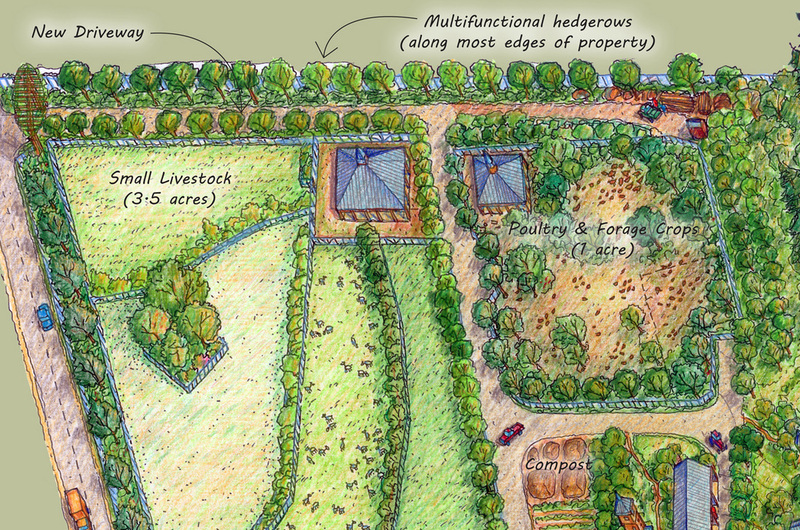 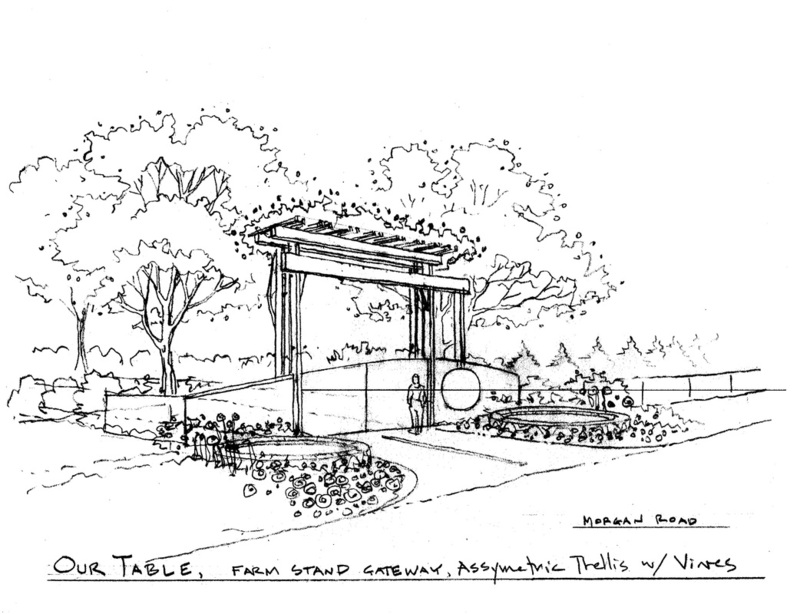 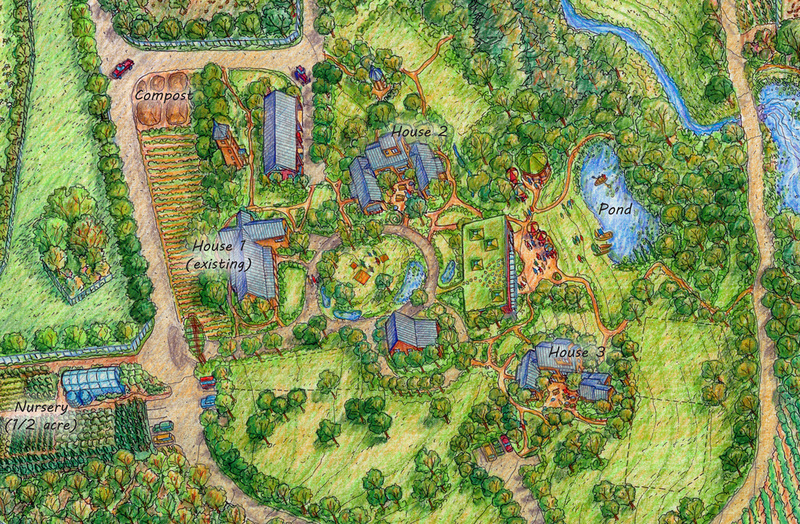 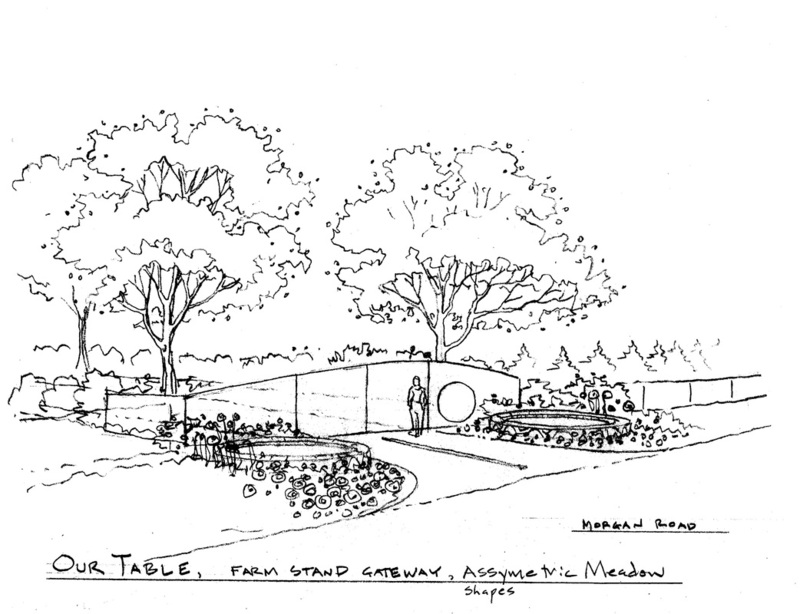 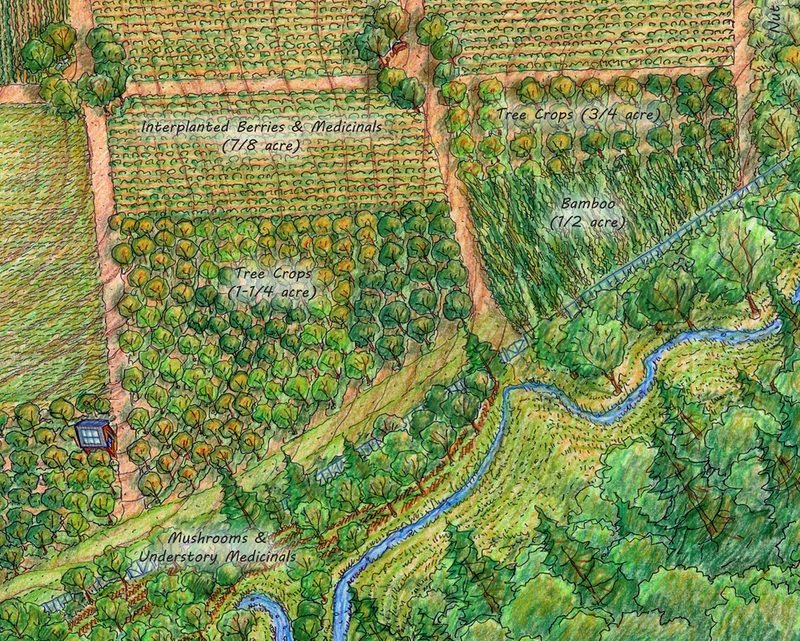 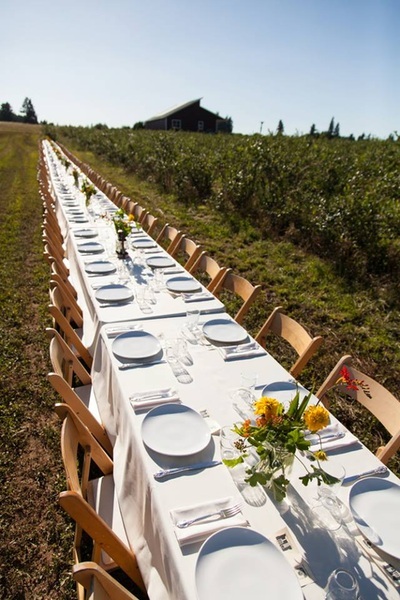 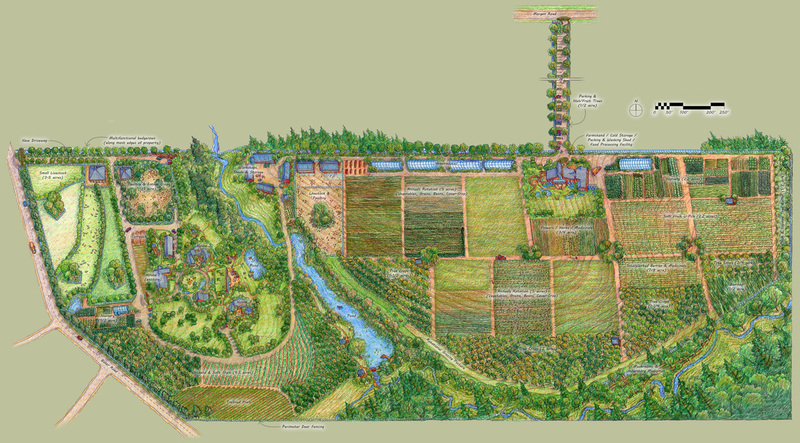 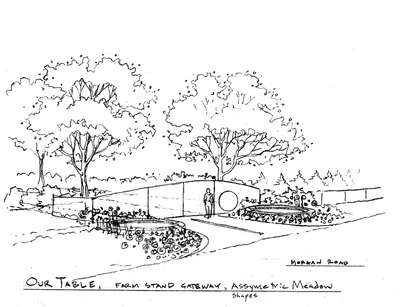 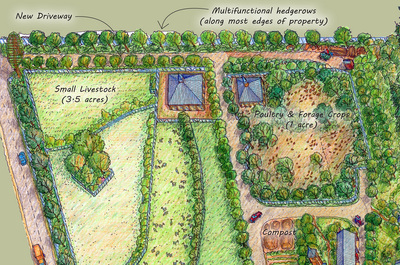 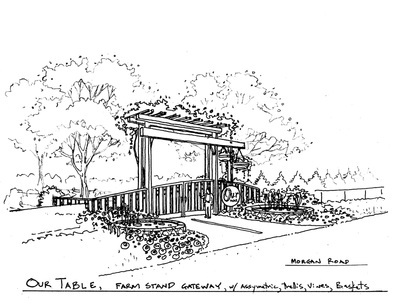 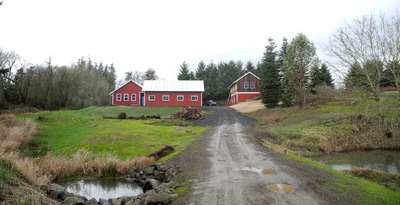 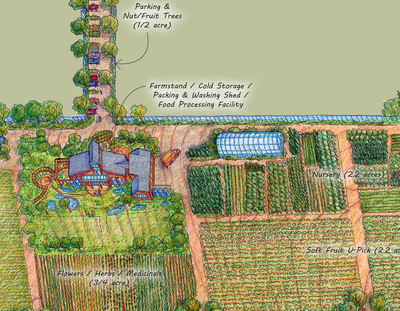 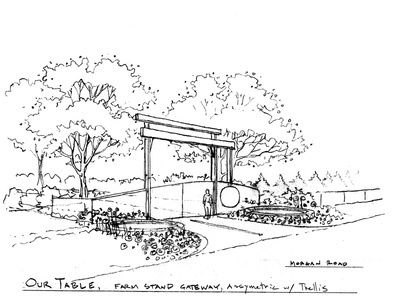 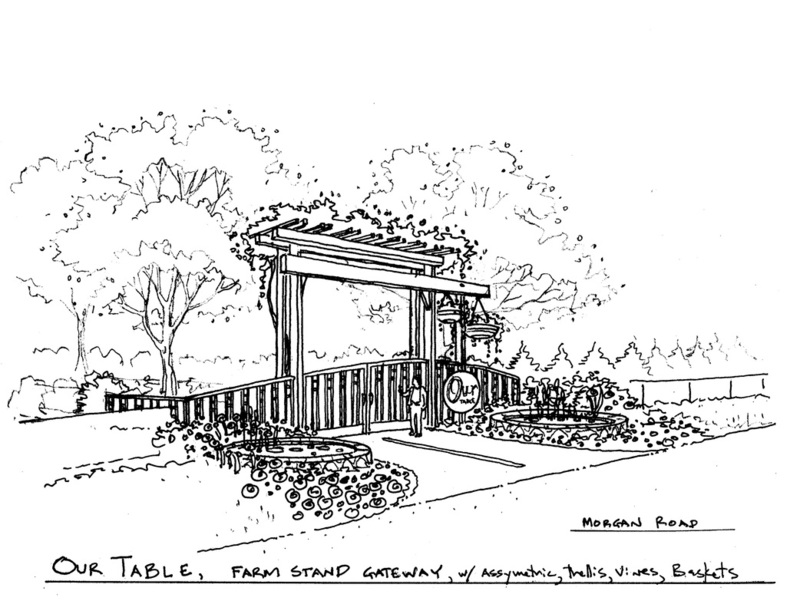 This 58-acre regenerative farm initiative has been designed using permaculture design strategies. 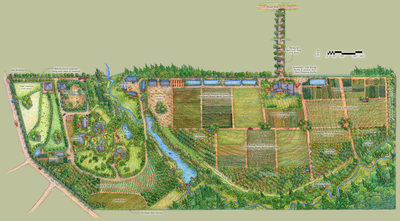 Among these include perennial crops based on “food forest” design concepts, optimum crop rotations, a continuous soil building emphasis incorporating animal area-rotations and composting cycles, some amount of no-till crops, vegetated hedge (fence replacement) designs, intelligent water use and retention strategies, and cooperative ownership and management. 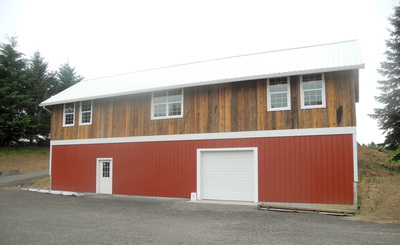 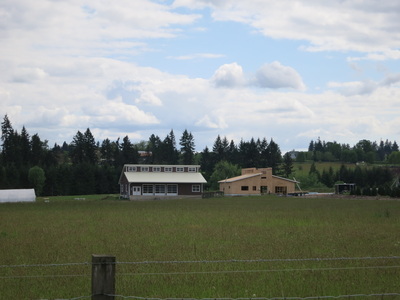 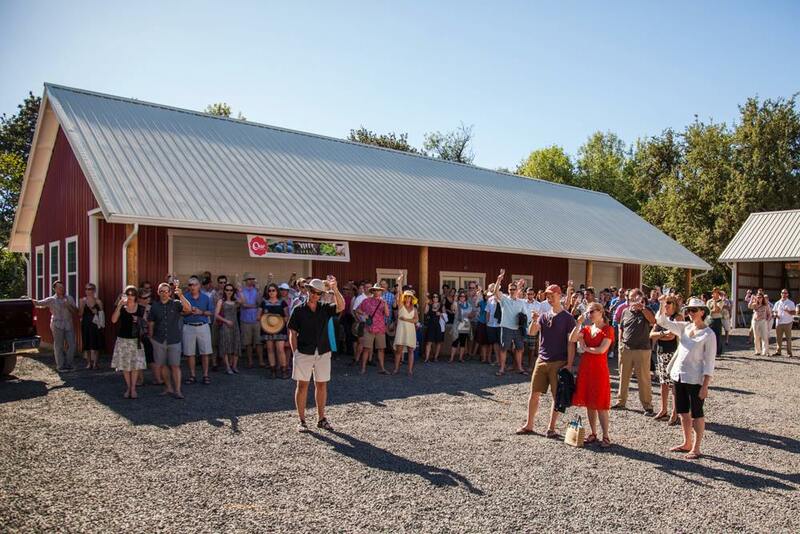 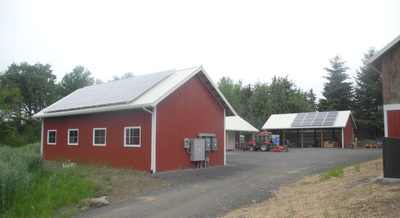 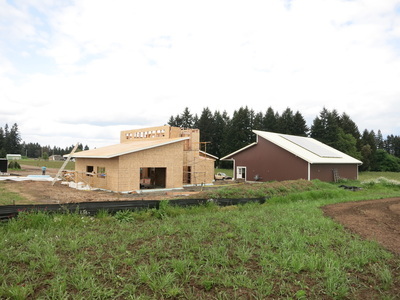 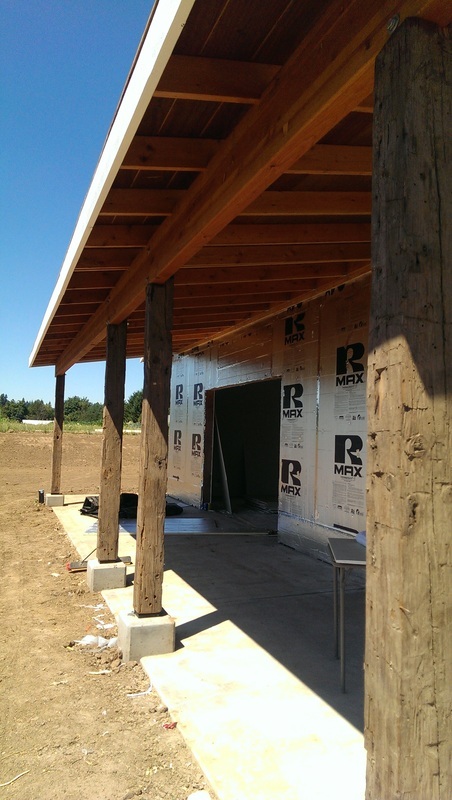 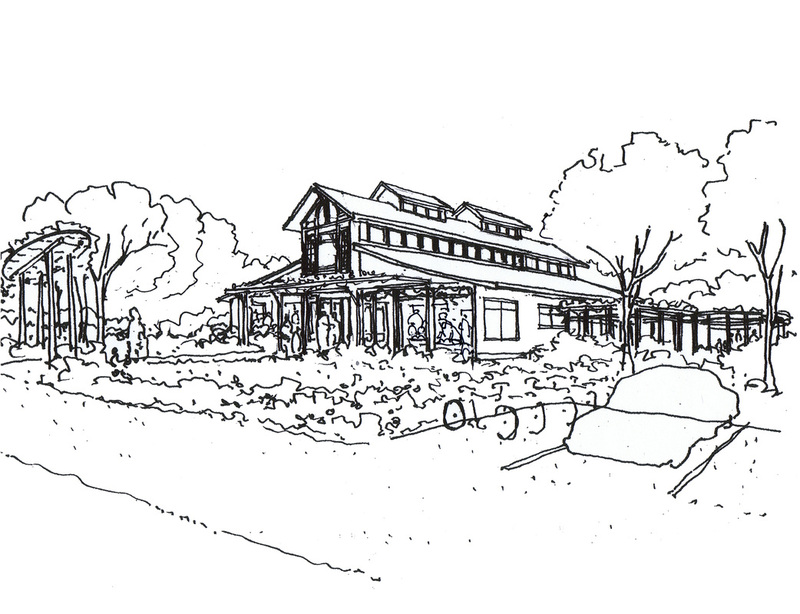 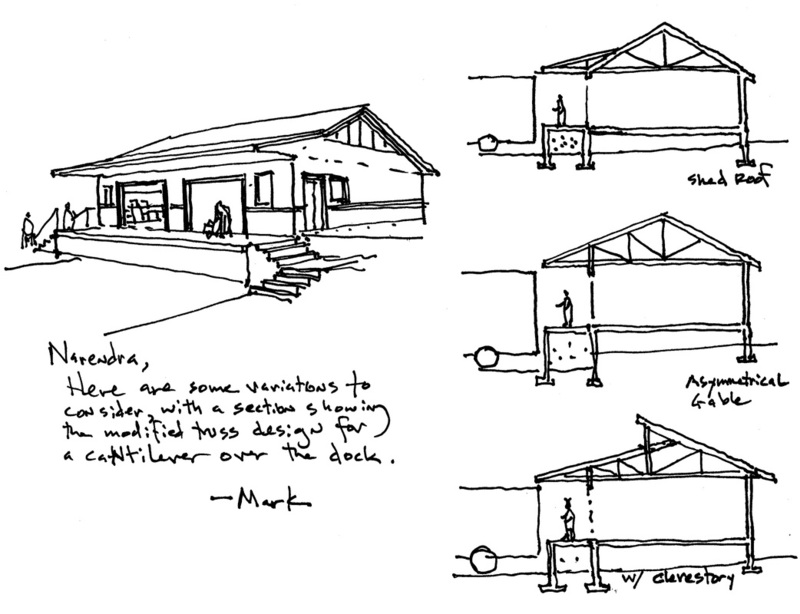 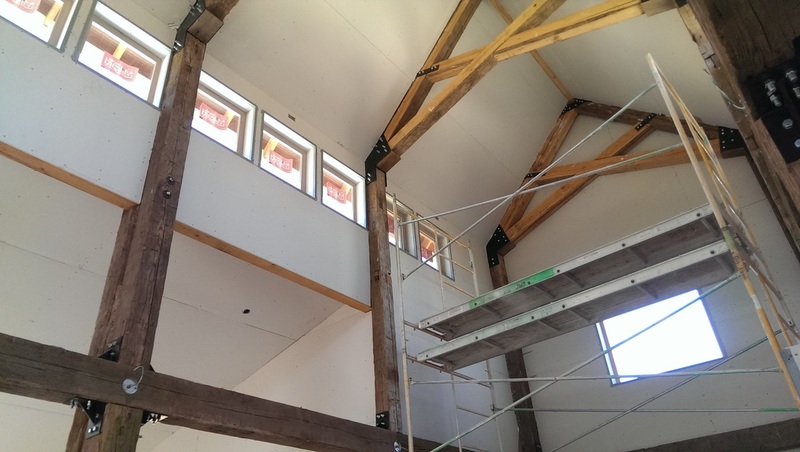 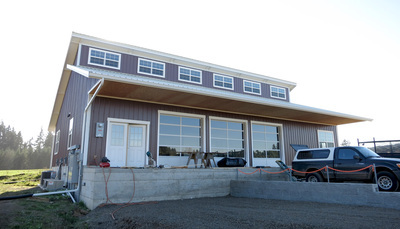 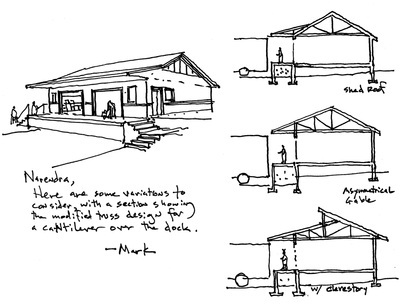 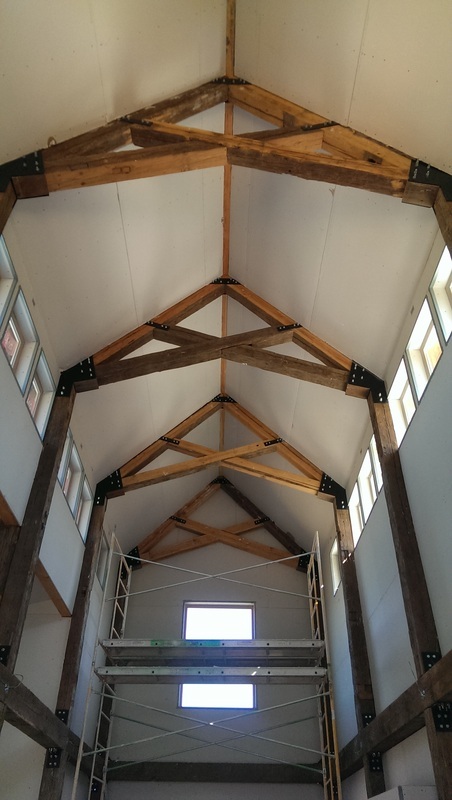 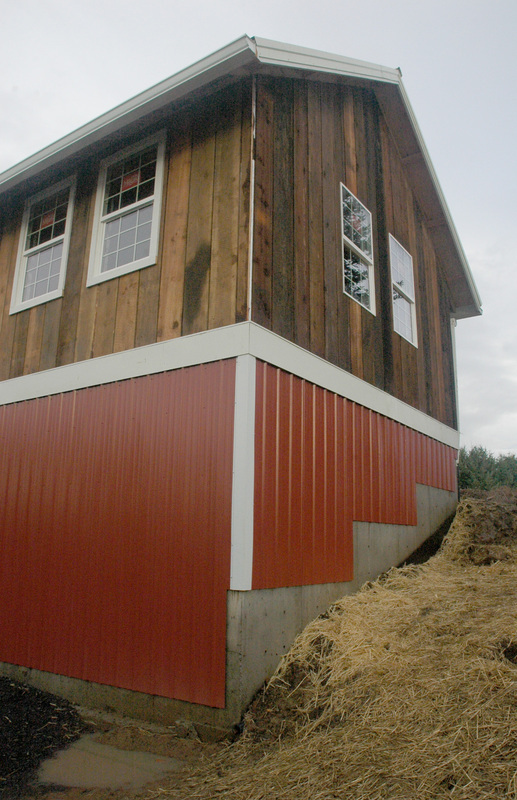 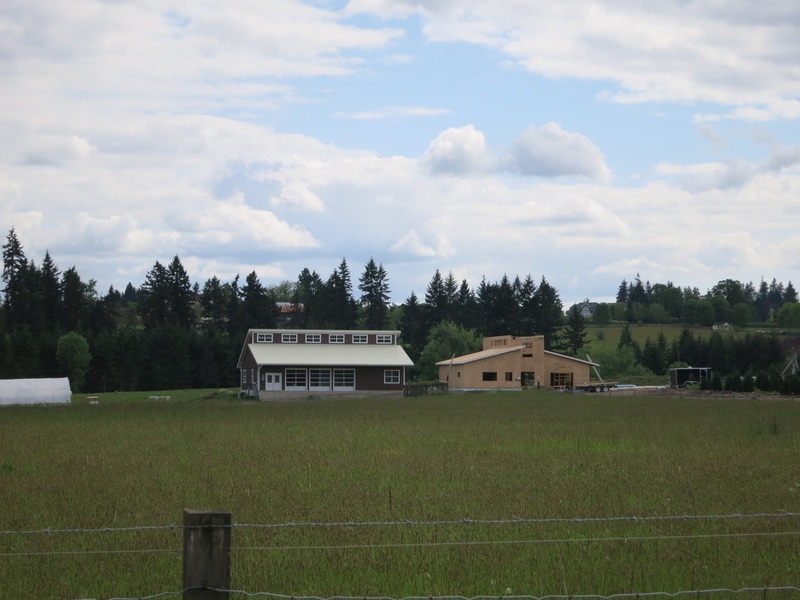 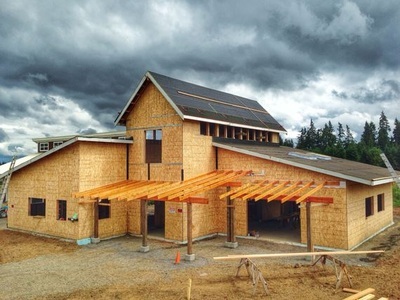 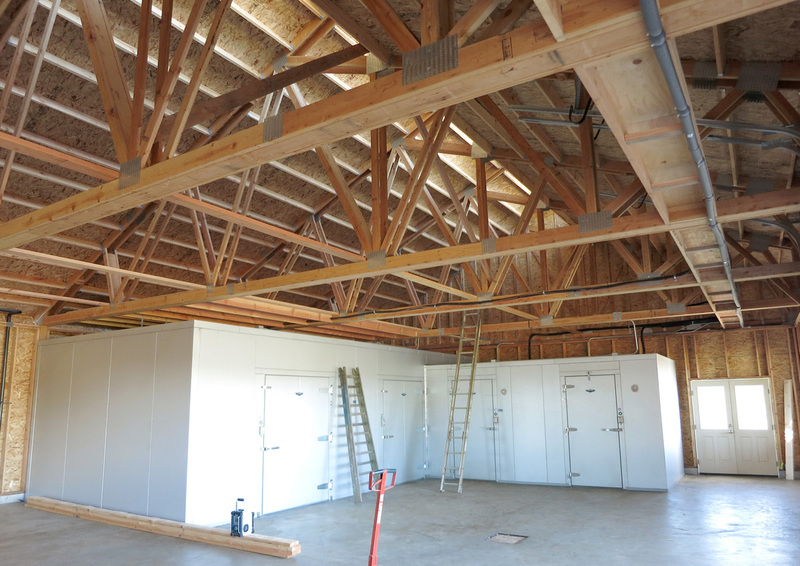 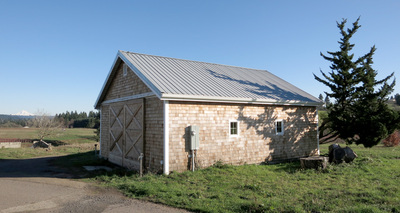 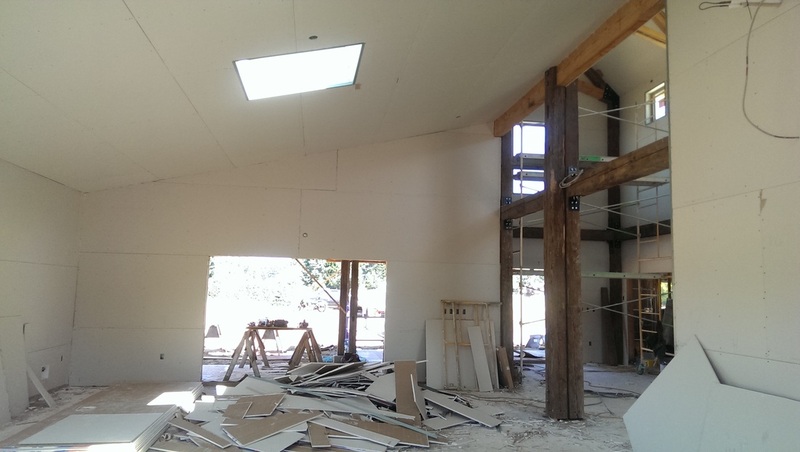 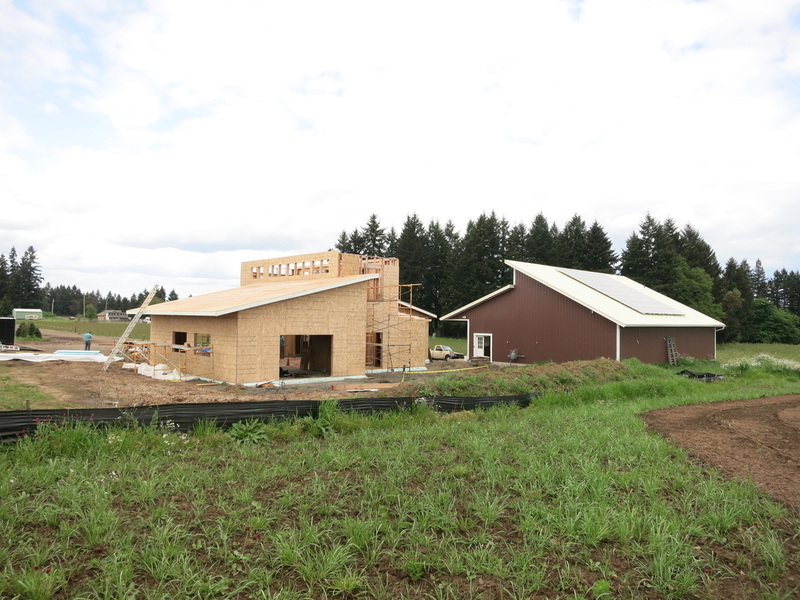 The coop will include shared workshop facilities and equipment, processing and storage areas, a sales and distribution building, a farmstand, and shared maintenance regimes. As a localization initiative, this project presents an exciting new dimension in the development of our regional food security infrastructure, including the goal that all food grown there will only be sold locally. 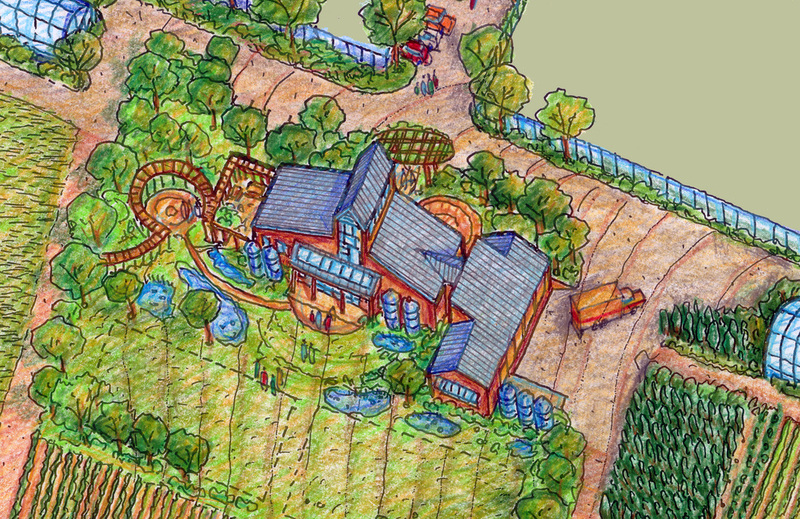 There will also be an on-site village of multi-family housing for farm families with numerous interpretive and gathering facilities.